These days lots of android phones are launching with high price range and low price range. But few people can buy a high price range smartphone, while most of the people have at least Rs 10,000 of that much budget for buying an android phone. There are a number of android phones are available under Rs 10,000 and it will make you confuse to which android phone you have to buy. But don’t worry, I here to help you. I have collected the best android phones under Rs 10000 along with 2GB of RAM and great specs. It is because 1GB of RAM is not sufficient for multitasking or if you are running heavy games it will not run smoothly. While with 2GB of RAM you can work simultaneously on multiple apps or if you are running heavy games it will run smoothly. If you are thinking to buy a new cell phone and use for next few years than also you have to no worry, it’s because the below list which I have created it comes with great specs. Whenever I create a list I just keep in mind that it should worth your money. So just check it out the below list and choose, which one is best for you. The Lenovo K3 Note is one of the best and popular android phone under Rs 10,000. On its first flash sale on Flipkart 47,440 unit were sold out in just 5.2 seconds, so now you can understand how much it is popular. The Lenovo K3 Note is a dual SIM smartphone along with 4G LTE. Like its popularity, it gives you the performance also. Lenovo K3 Note runs on 64-bit Octa Core processor along with 2GB of RAM, so you can multi-tasking hassle free. It has 16GB of internal storage, which you can expand upto 32GB with the use of microSD card. The Lenovo K3 Note powered by the latest and faster Android Lollipop 5.0, so your apps, games and videos run smoothly and lag-free. 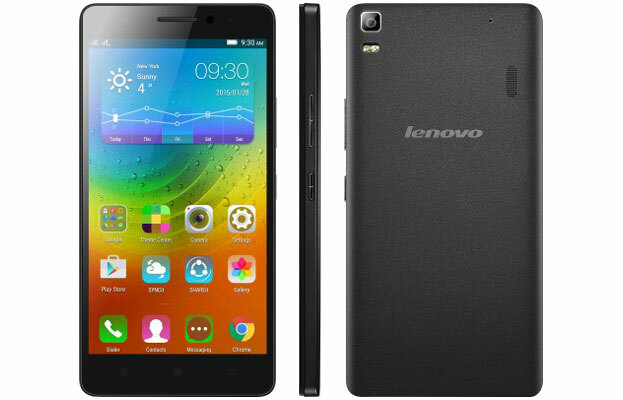 At Rs 9,999 Lenovo K3 Note comes with 5.5 inch Full HD IPS display with the resolution of 1920 x 1080 Pixels. It features 13MP rear camera with dual LED flash and full HD recording, while front facing camera is 5MP. The battery also may not disappoint you it has include Li-Ion 2900 mAh battery, which shall provide you a full day of battery life. According to me at this price range this is the best smartphone, it’s because you will get sufficient storage, great specs and nice battery life. These days Micromax focuses on both high end phones as well as budget phones. 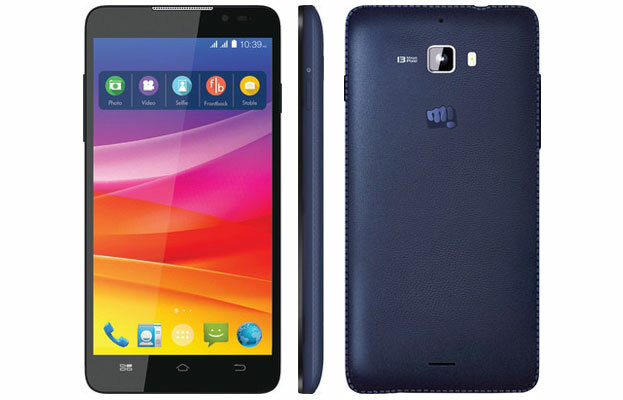 Micromax Canvas Nitro A311 is a budget dual SIM smartphone. But it doesn’t have 4G connectivity, which may disappoint you. Its sleek look and the back leather panel give an amazing look to it. It features 5-inch HD IPS display with the resolution of 1280 x 720 pixels. Pixel density is 294 pixels per inch. Micromax Canvas Nitro A311 has an Oleophobic coating, which protects the display screen from getting smudged by oily fingerprints. Micromax Canvas Nitro A311 comes with 1.7 GHz Tru-Octacore Mediatek 6592 processor and a Quad Core ARM Mali 450 GPU along with 2GB of RAM, so you can multi-task faster and also enjoy running your favourite apps or games smoothly. It has 16GB of internal storage and you can expand upto 32GB by using of microSD card. It has got 13MP rear camera with auto focus and Sony IMX 134 CMOS sensor. 5MP fixed focus front facing camera. The Micromax Canvas Nitro A311 has a good battery backup of 2500 mAh battery. Huawei entered into the smartphones world with its Honor brand. 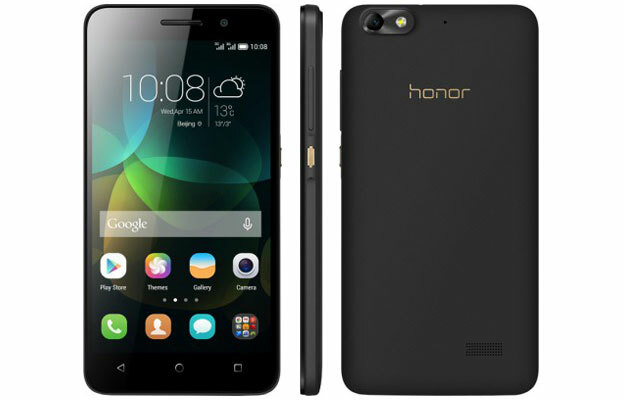 Huawei Honor focuses on launching budget smartphones with the great specs. This Huawei Honor 4X is dual-SIM 4G smartphone and it supports 4G connectivity on both SIM, so you enjoy high-speed mobile data. It has got 5.5-inch fully laminated IPS HD display screen. The display makes upto 16.7 million colors and it is just sharp enough to watch HD movies or playing games. Under the hood it runs on 64-bit Qualcomm Snapdragon 410 MSM8916 + 1.2 GHz processor, which gives you faster response. Huawei Honor 4X comes with 2GB of RAM and 8GB of internal storage, there is a microSD card slot to expand storage upto 32GB. It features 13MP rear camera with LED focus and 5MP front facing camera. Front facing camera has 22mm wide angle lens, so your entire family came into a single frame. It has included powerful 3,000 mAh battery, which you will get upto 72 hours battery life on continue usage. After the success of Lenovo A6000, the company has launched its new version Lenovo A6000 plus with upgraded its specifications. Lenovo A6000 Plus is a dual-SIM smartphone with 4G LTE, so will get faster data transfer speed for watching online movies or playing online games. It comes with 5-inch IPS HD display screen with the resolution of 1280 x 720 Pixels. It has an IPS technology, which provide ultra-wide 178 degree viewing angles and its great if you are watching movies in large groups. The Lenovo A6000 Plus powered by a 64-bit 1.2 GHz quad core Qualcomm Snapdragon processor and it runs on Android KitKat 4.4. This device has got 2GB of RAM, so if you are using multiple apps at the same time or playing heavy games it runs lag-free. It has 16GB of inbuilt storage and expandable upto 32GB with using of microSD card. It sports 8MP rear camera along with Auto focus and 2MP front facing camera. The Lenovo A6000 Plus is backed by Li-Ion, 2300 mAh battery. The company states says that the Lenovo A6000 Plus will provide you upto 264 hours of standby time on 2G and 3G, while upto 22 hours of talk time on 2G and upto 13 hours of talk time on 3G. 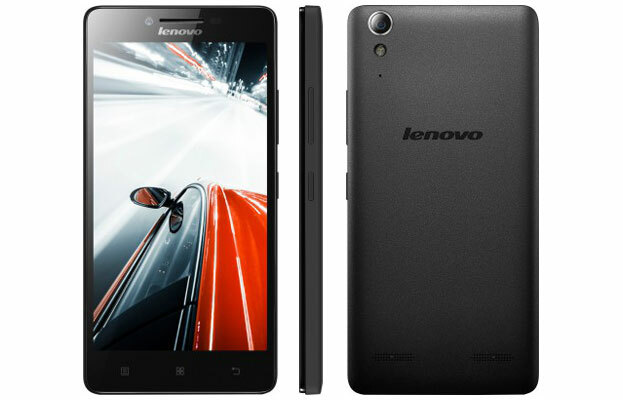 At Rs 7,499 the Lenovo A6000 Plus is really worth for your money. The Huawei Honor 4C has similar look like Honor 4X and also have some similar elements like textured of removable back cover, camera positioning, edge curves and so on. It is a dual-SIM smartphone, but it doesn’t support 4G connectivity. The Honor 4C has got 5-inch fully laminated HD IPS display screen with the resolution of 1280 x 720 Pixels. The display screen has a 16.7 million colour combination to give you sharper image quality. The device is powered by 64-bit octa-core Processor clocked at 1.2 GHz and along with a quad-core Mali-450 image processor, which increase GPU performance and gives you crisp and clear images and videos. 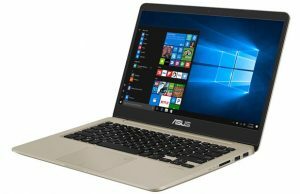 It has got a powerful processor and 2GB of RAM, so you can easily use multiple applications at a time. 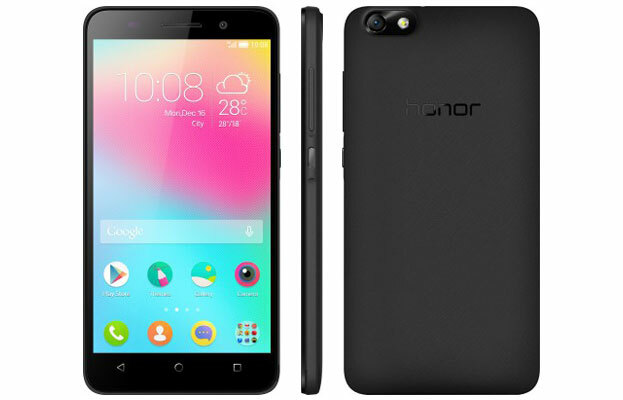 The Honor 4C comes with 8GB of internal storage, which you can use upto 3.38 GB, but don’t worry, it has microSD card slot, so you can expand upto 32GB. It sports 13MP rear camera and 5MP front facing camera. The rear camera has auto focus, Quick Shooting and Panoramic Shooting feature along with full HD video recording. The Honor 4C has a 2550 mAh battery, which shall provide you a full day of battery life on mixed usage.